Just a one word reaction describing my response to this....JEALOUS! 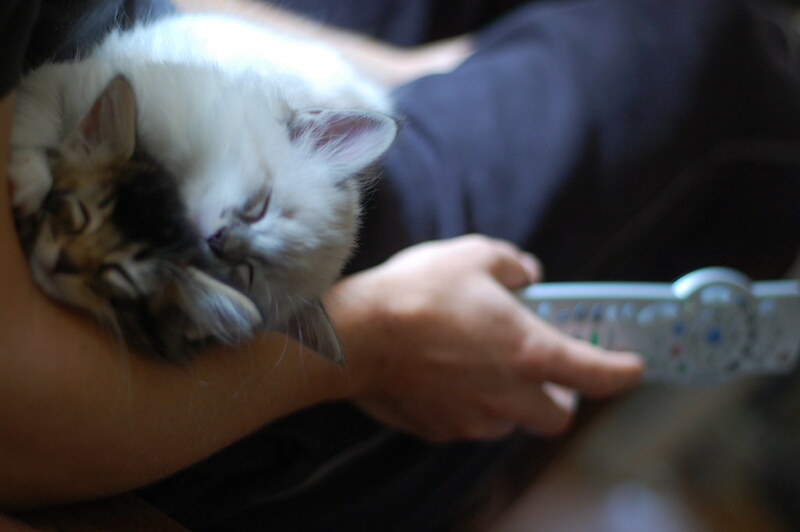 PRACTICING TO BE BIG GUYS...STAYING CLOSE TO THE REMOTE! Kitty nap piles are fun until your arm/leg goes to sleep, then it becomes your discomfort vs. peacefully sleeping kitties. Thank goodness my pain threshold is pretty high (lol). Oh, to be a kitten in that pile! Benny and Arthur, such a perfect purring pairing. benny has the most precious face. Benny is still the best! Can't wait to see how he looks once he's all grown up. Oh lucky!! !They are so cute!! I'm so happy Arthur and Benny were adopted together. How would Arthur sleep if he couldn't use his brother as a pillow? 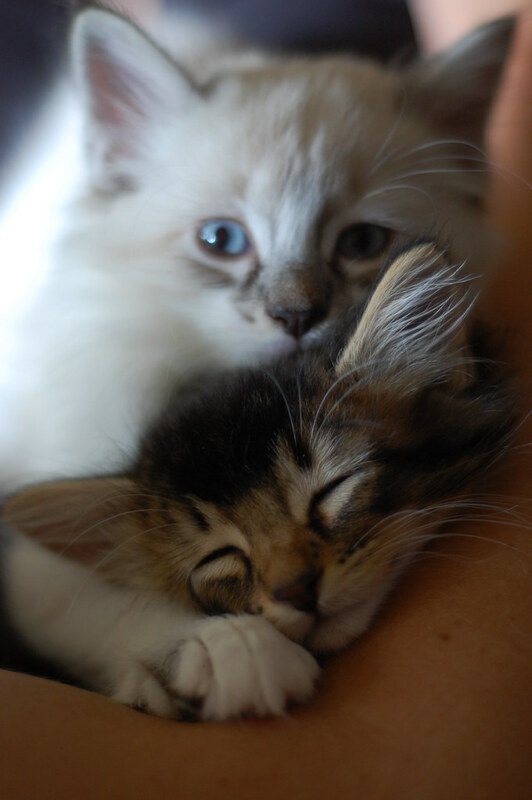 A brother makes a nice pillow. Benny has little Yoda ears in this picture. Tooo cuuute. I'm so happy he has a good home. I wonder how Benny would sleep if he did not have his Arthur blankie???? Oh how sweet these boys look. I NEED to see both of them as they grow up! This sooo cute! Those kitties are adorable... I wants!